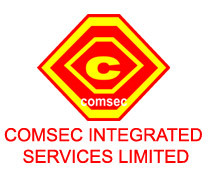 Comsec Integrated is registered in Nigeria as a business entity. Since inception, we have been involved in low voltage engineering with special attention to design and installation of security and safety solutions. Based on need and having carried out vulnerability assessment on a facility, we design a security and safety system that suite the situation. At Comsec , we don't just install, we design solutions. Using networking approach to security, we can integrate different types of security system to enhance effectiveness. Location, threat level, vulnerability, crime history are various factors we consider before coming up with a design. That is why we are called Security Solution Provider (SSP). With best professionals, foreign alliance and technologies, we are set to make a difference in electronic security industry. * Switching on/off any appliance in your home/office including generator. * Operate your automatic /motorised gate. * Operate an alarm system, burglar or fire. * Monitor your power supply/alarm status. * Know when Generator is on/off. * Know when PHCN power fails or is restored Do all these and more with your handset. For detail click GSM Mobile Switch. * We provide specialised training on security and safety application.